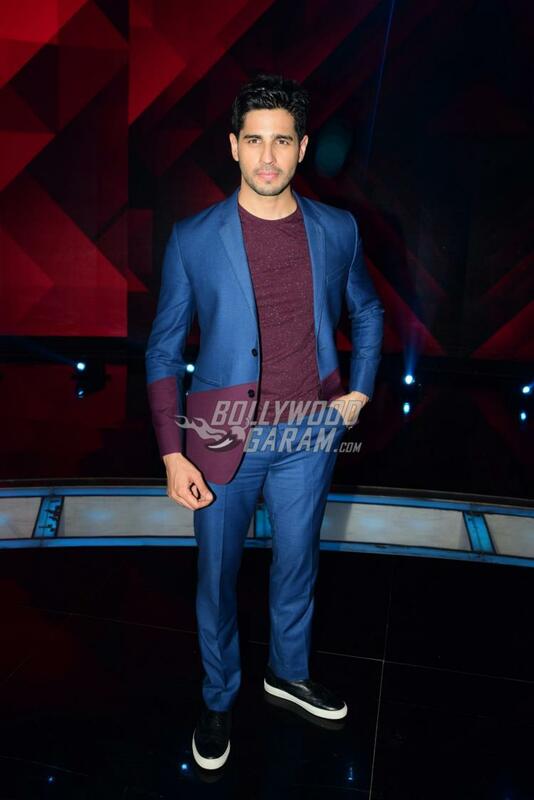 Jacqueline Fernandez and Sidharth Malhotra promoted their upcoming film A Gentleman on the sets of the most happening TV show, Dance Plus season 2 in Mumbai on August 13, 2017. Jacqueline looked pretty in a black pullover and a black and white striped skirt while Sidharth looked dapper in a blue suit. Jacqueline, too has taken some dance lessons for her film as she will be seen pole dancing. The Dance Plus sets will see the actress show off some of her cool moves with Sidharth. The episode will also see Sidharth flaunt his abs after the girls from House of Suraj request him. Jacqueline was seen having fun with a few of the contestants. The lead actors were seen sitting by the side of the judge Remo D’Souza. Jacqueline and Sidharth were also seen posing with other mentors of the show Shakti Mohan, Puneet Pathak and Dharmesh with the host Raghav Juyal. The upcoming film A Gentleman is directed by Raj & D.K and is ready to be released in theatres on August 25, 2017.